YouTube videos have become such an ingrained part of our society. Everyone wants something that will go viral, whether they are just posting on the web for personal reasons, trying to bring attention to something important like a cause or event, or a business hoping to boost sales using the power of the internet. There are even university lectures dedicated to the topic, teaching a new generation of students how to capitalize on the value of viral content in any industry. Does that mean in order to have a successful, viral video, you have to join a university course? No, though I guess it couldn’t hurt. What you need are a few tips to help you find success. Maintain quality, in every way. If YouTube has taught us anything, it is that everyone has something to show us, but most of it isn’t worth watching. The number of horribly done videos on that site is staggering. From vlogs stroking the poster’s over-inflated ego, to grainy camera phone clips of people you don’t know doing something you can’t quite make out, there is a lot that will fail to catch the eye of the public. Your video has to be the optimal quality in everything from equipment (a good camera, mic and editing program are musts), to the content itself. Post what people want to see, not what not what you want them to see. There is a definite ego involved in the pursuit of viral content. You have to be certain that what you are creating is good enough to gain popularity on a massive, global scale. Which is fine, confidence is a good thing. But not being aware enough to the needs of your target audience, and instead thinking you know best, is not such a good thing. You should follow trends, try to be timely, and focus on what is going to be entertaining to a specific group of people. On that note, don’t aim to be for everyone. That never works. Don’t buy your popularity. 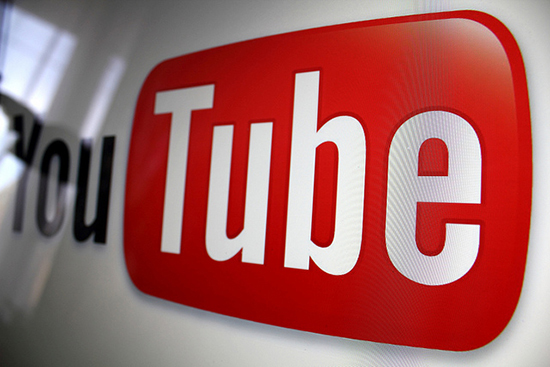 A lot of companies will pay an agency for views on their video. While this does increase your likelihood of being featured on the front page, or as a featured video, it doesn’t mean your video is viral. First of all, it is against YouTube’s terms and conditions to do this, so you run the risk of penalty. Second, a viral video is something that has been launched into the mainstream through force of people’s reaction. There is an emotional element that drives it forward, whether it sparks someone’s humor, their sentimentality, their pain or their interest. It means more than clicks, and just having a lot of views won’t make it any more shareable. It is a lot to do with chance. That’s right folks, in the end the only thing you can do is up your chances of being seen and enjoyed. Almost every viral video out there got that way by chance, often at complete random. For every viral video there is, you will find thousands that were just as good – or better – that never took off. Why is this the case? Because what people like isn’t about charts and statistics, but about the gut. Sometimes there will be one thing that just hits them right with the perfect gut shot, and they will respond with enough passion to drive your video into infamy. There is no set formula to make this happen. Posting video comments on popular related videos: Helped a lot! 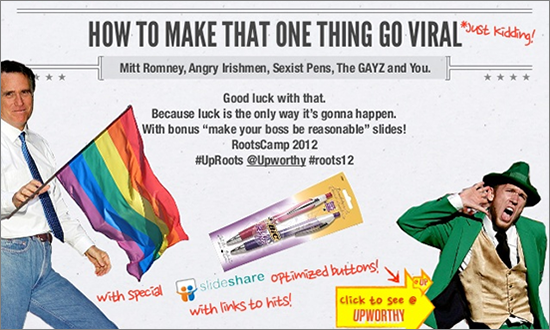 If you want to learn more about viral content in general for people who have generated it several times, I would check out this excellent slideshow by Upworthy. It isn’t specifically about videos, but it is still very helpful for anyone who wants a thorough explanation of the viral phenomenon.